Egypt Travel representative will meet & greet you at Aswan airport or train station and then you will be transferred by a private A/C vehicle to your Nile Cruise ship for embarkation in Aswan before Lunch. 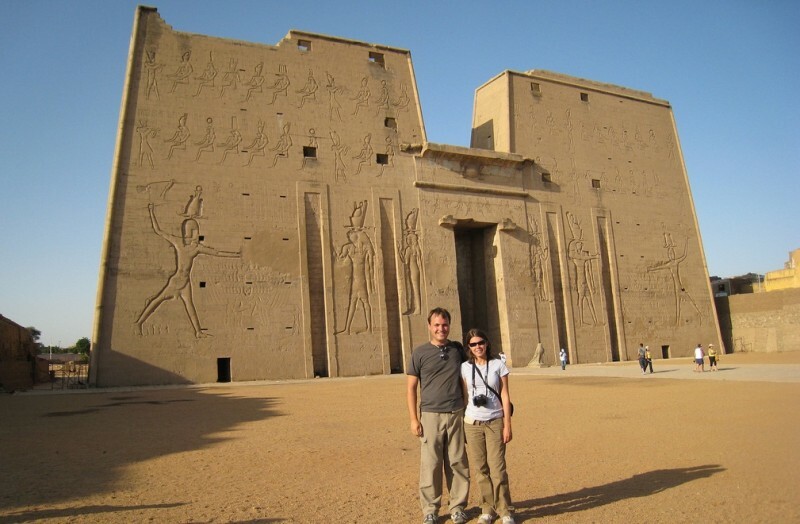 You will be accompanied by your knowledgeable Egyptologist guide for an amazing tour to visit the High Dam, the Granite Quarries and the Temple of Philae. Back to Cruise. Dinner and overnight. Breakfast onboard your Nile cruise ship while sailing to Luxor with lunch on board the vessel then you will be accompanied for a wonderful tour to visit East Bank of the Nile in Luxor to the Karnak and Luxor temples. You will be transferred back to the Nile cruise ship for afternoon tea and dinner on board with overnight aboard the Nile cruise vessel in Luxor. General info * Prices Prices are quoted in US Dollars per person per trip and valid for Christmas, New Years holidays. * Egypt Entry Visa You need to have a valid passport at least 6 months beyond your scheduled return date to enter Egypt and you can obtain a visa from the Egyptian Consulate before departure. Also, entry visa is available upon arrival Egypt airports against USD 15 per passport for specific nationalities and need to check before * Tipping It is a customary attitude for expressing ones satisfaction of good services rendered to him by staff on duty with him. We advise if you are willing to offer it, this would be great and if not, you are not obliged to do it.